Zero-twist terry bath sheet with lustrous sheen and jacquard-woven dobby border. Terry loops are a blend of modal and extra-long-staple combed cotton. 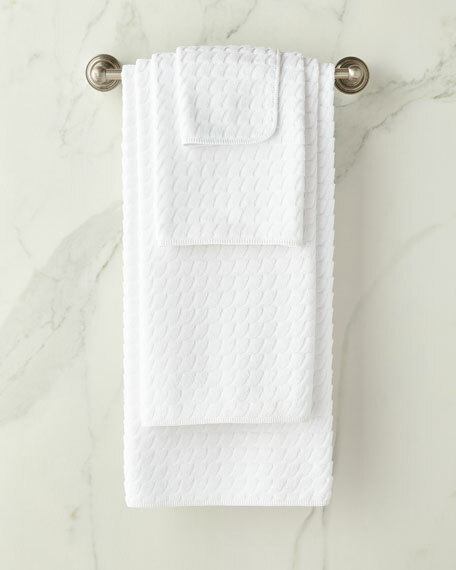 Zero-twist terry bath towel with lustrous sheen and jacquard-woven dobby border. 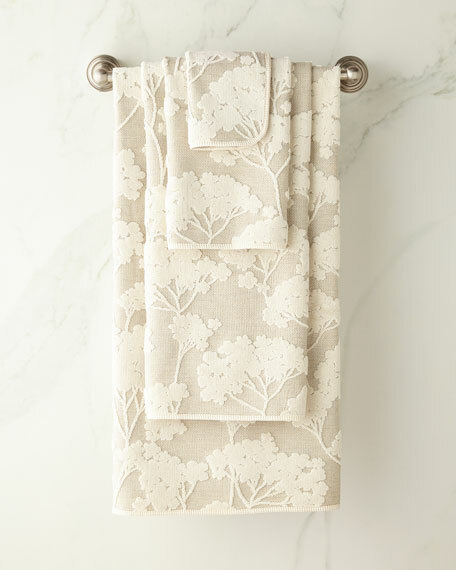 Zero-twist terry hand towel with lustrous sheen and jacquard-woven dobby border. Zero-twist terry face cloth with lustrous sheen and jacquard-woven dobby border. 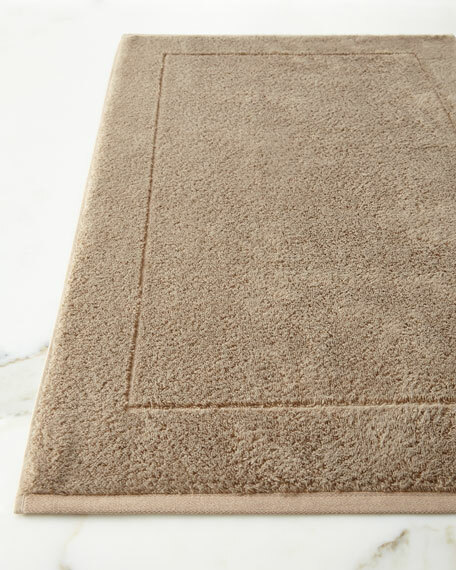 Zero-twist terry tub mat with lustrous sheen and jacquard-woven dobby border. 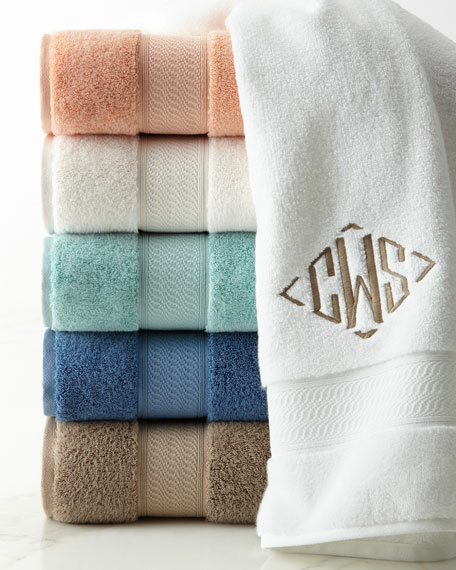 Supima cotton terry loop towel with optional monogram.730 GSM luxury weight.Thick, soft, and absorbent.30" x 58".Machine wash.Made in Turkey of American-grown Supima cotton loops and Turkish cotton.